This is a kind of long and personal story about a race I ran last Sunday. The story actually starts several years ago. In a former life, I was a very avid runner. Everything from vacation schedules to weekly social activities revolved around running. I have never been exceptionally fast, or anything like that. But running was a hobby that I dedicated a lot of time and energy to. As I started to rack up races, I thought it would be cool to run 10 marathons. By the end of 2011 I had completed nine marathon finishes, including NYC (twice). I was on a roll. 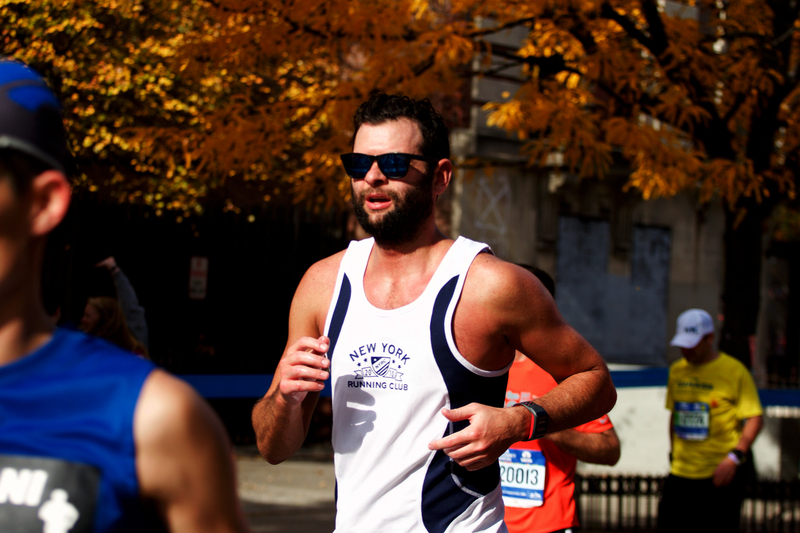 During this process, I qualified for the 2012 New York City Marathon. When late October 2012 rolled around I was all trained up and ready to go. About that time, Hurricane Sandy came through and wrecked up this whole region causing the city to cancel the race. I wholeheartedly agree that cancelling the race was the correct decision. Even so, it was more than a bit disheartening for me to have put in so much work without being able to enjoy the reward. Since it was to be my 10th, I was determined to make this marathon really count. I had high hopes for a new PR. I had invited family to come from out of town. They made it as far as DC (from Alaska). After the decision was made to cancel the race, they offered all of the would-be participants automatic entry to any one of NYC Marathons in the following three years. The let-down from 2012 caused me to have a lot of introspection relating to the way that running had basically consumed all of my free time. The hobby was especially time consuming when I was training for something and I was almost always training for something. I concluded that I would take a break from competing (against myself [I have never been fast enough to compete for real]), and just enjoy running. So I chose to use my automatic entry for 2014. I did run some races in 2013. But I ran with my friends for fun, and did minimal (if any) training. When 2014 cropped up, I was ready to buckle down again and get serious about putting forth an honest effort that November. Since I had become very out of shape, I decided to start training in early summer. I had dropped a few LBs and started to pick up the pace by September. This is also when I crashed my moto, partially severing my left quadricep muscle. As one could imagine, the injury made walking quite difficult for a while and running was virtually impossible. Even though I had mostly recovered from the injury by the end of October, I had missed the most crucial weeks of training. I decided to cancel my entry to the race, seek a medical deferment and try again in 2015. FF to 2015>> Almost every aspect of my life has changed since 2012. I have a different job. I live in a different neighborhood. I have a new partner in crime. I’m feeling generally more balanced and content with life. As I began training for the race this year, the idea of finishing a 10th marathon evolved into a symbolic mile marker (pun intended) for me. I saw it as a sort of capstone on transitioning to a different phase of life. This understandably probably sounds very corny. Just the same, I felt like those aspects of my life that I had been chasing since the beginning of 2012 had finally started to fall into place. In my mind, being able to finish this race would be a tangible piece of evidence of this. I put together a 19 week training program. It wasn’t perfect. I missed some runs. But I had a good network of friends helping me stay accountable. Ultimately, even though I didn’t get back into perfect shape, I was able to get into viable marathon shape. A few weeks before the race I did an 18 mile race on a flat course and ended up inadvertently pacing about a quarter of a minute per mile faster than I had intended. This gave me a lot of confidence going into the end of October. The last few days before the race I was having a lot of anxiety. I hadn’t trained on hills at all. I was second guessing how well I would be able to keep my pace over the Queensboro Bridge, and up 1st Ave. And blah blah blah, this story is getting too long. Paul Harvey-style, here is the rest of the story: Sunday morning November 1st came along, I woke up at 4:45 (thanks to daylight savings, it only felt like 5:45). I put on my sneaks and made the short walk to the Staten Island Ferry terminal in Battery Park. As soon as the ferry set sail, all of my anxiety faded very quickly. I was there on this giant orange boat with runners from all over the world. Various languages could be heard conversing in low voices about what we were all about to undertake. I watched my fellow marathoners, sharing bananas, texting loved ones and gramming the Statue of Liberty. All of this while we glided in unison over the calm grey predawn harbor toward the starting line. I was reminded of how this race meant so many different things to so many people. My fears of not being able to meet my self-imposed running goals transitioned into feelings of gratitude to be able to participate in such a grand event. I was also feeling grateful for all of the good things that have happened in my life since Hurricane Sandy. My race went as well as it could have. The weather was perfect. I came out too fast (as always) and died early (as always). Along the course I saw my girlfriend cheering for me, not once, but twice. I saw friends who had come out to support, one of which snapped the photo above (thanks, Jon). Even though this course has always been traditionally slow for me, the energy was so amazing that I felt like I was winning the entire time. And even though I didn’t get a PR (or anywhere near), I did get my PR for the course. I finished a solid six minutes faster than I did last time I ran NYC. I know that in this day and age it isn’t really a big deal to complete a marathon. For a lot of people, finishing ten is not even a great feat. But for me, when I crossed the finish line last Sunday, it was a very significant personal accomplishment. For me, it was the race of a lifetime. Posted in News and tagged marathon, new york city, NYC, nyc marathon, running. Surprise! Started typing in jalopnik to get an update on this weekend’s motogp finale and your old site popped up as a suggestion. Congrats on achieving the symbolic mile marker. Glad to hear things are going well for you. I signed up for an ironman in May which I just started training for. Getting back in shape, whether for racing, work, or life, is rough. Take care. Iron man is no joke. Good luck, man!